It’s tantalizing to think about The Wolfman that might have been. Mark Romanek’s music videos are so distinctive that it’s pretty much a guarantee that his treatment of the material would have been, too. Just take a gander at “Closer” or “The Perfect Drug” by Nine Inch Nails, or Johnny Cash’s “Hurt” or even Michael & Janet Jackson’s “Scream” and you’ll see what I mean. The man knows his way around striking — and frequently disturbing — imagery. 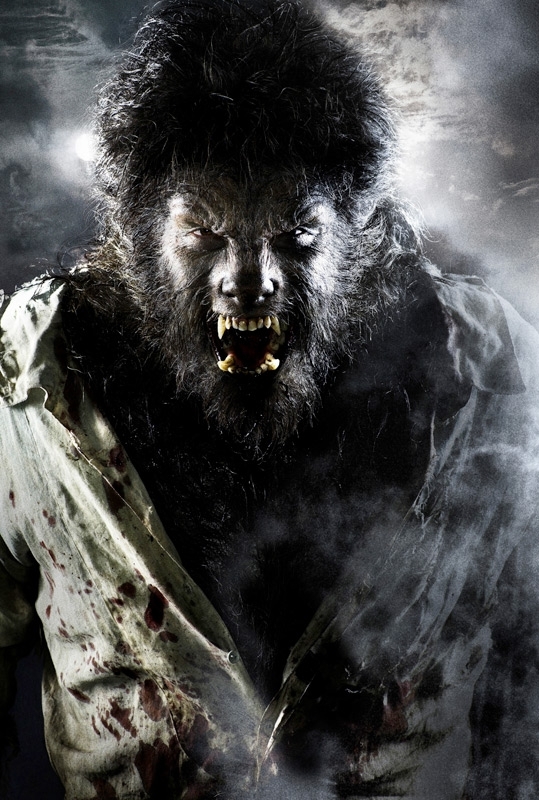 Even with a steady hand at the tiller, Universal did little to inspire confidence when, barely a month into principal photography, The Wolfman‘s release date was bumped from February to April 2009. Not that much of a leap, really, but that wasn’t the first time it had been pushed back. After all, the film had originally been scheduled for a November 2008 release and, in fact, would get punted around the studio’s slate several more times before ultimately landing on Valentine’s Day weekend, 2010. This put it in direct competition with the romantic comedy Valentine’s Day, which may have seemed like shrewd counter-programming on paper, but wound up hobbling its commercial prospects (which, to be perfectly frank, weren’t helped by the critical pummeling the film received once it finally limped into theaters). One thing that definitely didn’t help matters was the decision to cut out a sizable chunk of the first hour in order to get to Lawrence Talbot’s first transformation that much sooner. Not only did this destroy the flow of the story (and completely drop Max von Sydow’s cameo as the man who gives Talbot his silver wolf’s head cane), it also inspired the studio to scrap Danny Elfman’s already-recorded orchestral score and substitute an electronic one by Paul Haslinger, which he composed in the style of his work on the Underworld series. When that proved to be a bad fit they went back to Elfman’s music, but the job of reshaping it to fit the studio cut had to be left to others since Elfman had other commitments. I won’t enumerate all of the differences between the two versions, but I did like the extension of the opening sequence and that we got to see Benicio Del Toro on stage briefly. (In the theatrical cut, we had to take it on faith that he was a renowned Shakespearean actor.) And Emily Blunt coming to see him at the theater was a much stronger choice than simply having her write him a letter telling him about his missing brother. There’s also more about his gypsy mother and the villagers’ superstitious nature and so forth. As far as I’m concerned, there’s no question that these cuts were harmful to the film. Sure, an hour of screen time elapses before del Toro wolfs out, but in the director’s cut the first half of the film no longer feels rushed and the second half doesn’t seem so lumpy and misshapen. Maybe if it had been left alone, the film would have done well enough at the box office to merit a direct sequel following Hugo Weaving’s Inspector Aberline as he comes to terms with his own lycanthropy problem (a prospect clearly set up in the film’s closing moments). As it is, we’re left with the reboot Universal supposedly has in the works. If only they’d gone to the trouble of getting the first film right, that wouldn’t have been necessary.